As older adults continue to age, they become more susceptible to diseases and other kinds of risks. This includes being more at risk of falling into accidents or developing depression – two things that most seniors experience when they live alone. For this reason, OptimumCare Home Care Services established a trusted, reliable, and exceptional non-medical home care in Opitz Boulevard Woodbridge VA, which includes companionship services to provide supervision and support for seniors alone at home. Loss of interest in socializing and things they used to enjoy. Lack of regard for in personal care, such as neglecting personal hygiene and skipping meals. Conversations. When they feel like having conversations but no one is around to converse with, they start to feel extremely lonely or resort to talking to themselves and either situation is not really ideal. With a companion at home, they are free to talk about the things they are interested in, whether it’s the current events or unforgettable memories in the past. Games and activities. Companion services keep the clients engaged. They conduct games and activities that help stimulate mental activity, such as puzzles, board, and card games. If the client has things they personally enjoy doing, such as watching movies, reading books, crafting, or writing, the companion will be able to join and have fun with them. Socializing. 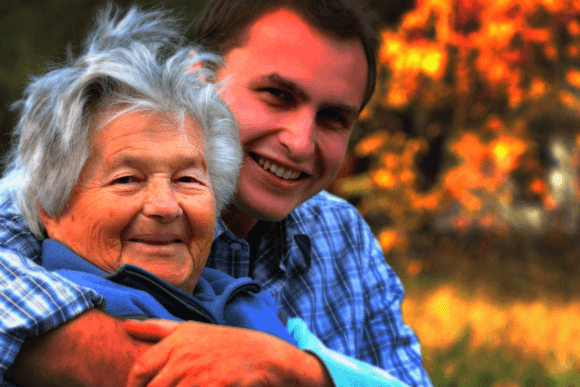 With a companion, not only will the senior stop feeling alone at home but it will also be possible for them to socialize outside the boundaries of their house. The companion can take them out in the park or meet their friends and loved ones. Monitor eating habits. When seniors who are suffering from early depression start to lose weight and appetite, they could get used to their poor eating habits. A companion will make sure that they are eating the right food at the right time and not skipping meals and medications. Seniors also tend to feel sad when they are eating alone, which gives them more reason to skip or feel uninterested with their meals. With a companion to join and encourage them, they will feel more encouraged and energized to eat. Aside from depression, seniors who are living alone are also at risk of accidents, particularly accidents that occur at home or on the road. These things could easily be prevented with a companion around. Accidents can occur anytime. If they are suffering from a chronic condition, such as high-blood pressure or heart problems, when incidents like cardiac arrest ensues, having no one around to provide and seek help could be fatal for them. They are also at risk of other accidents, such as falling, getting scalds and burns while cooking their meals, or even getting stuck inside when a house fire ensues. Many seniors, especially when a private care is easily accessible at home, insist on driving. Due to their age, elderly people develops vision and hearing impairment. However, it’s a common knowledge that having clear vision and hearing are important for drivers to be attentive while they are driving. Seniors who also suffer from Dementia and Alzheimer’s have a lack of proper judgment. You shouldn’t put it past them to make wrong decisions while driving or completely zoning out in the middle of something. Sometimes, simply having someone around can prevent things from going south. With the companionship services that our skilled care providers at OptimumCare Home Care Services offer, seniors will be happier, more comfortable, safer, and experience optimum care and health while continuing to age at home. For an outstanding and reliable non-medical home care in Opitz Boulevard Woodbridge VA, check out our website and get to know us more at www.optimumcarehomecare.com. This entry was posted in Non-medical home care and tagged Non-medical home care, non-medical home care in Greensboro Drive McLean VA, non-medical home care in Opitz Boulevard Woodbridge VA, speaking skills, Speech theraphy. Bookmark the permalink.